With 22 kilometers of groomed and tracked ski trails, you will ski alongside beautiful brooks, beaver ponds, stone walls, lakes, fields and mountains where nature abounds. Our trails meander through old wood stands, which gives you the feel of being in the wilderness. Other trails are wider for excellent ski skating. 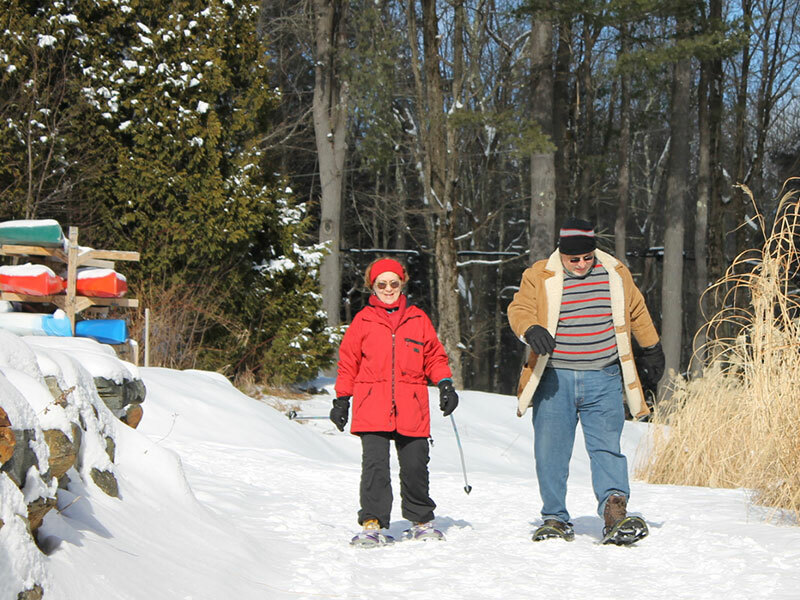 Snowshoe trails are maintained just for snow shoeing for those who want that experience. Our ski instructors will teach you the best techniques and skills so you can be off enjoying the woods. Linda is a professional ice skating coach who gives private lessons. Our rental equipment is well maintained with the helpful ski shop staff ready to fit and fix your ski equipment. 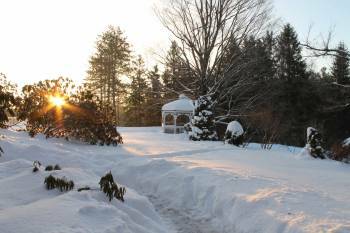 In the summer and fall you can hike, bike, swim and enjoy our gardens on site. Bring your bikes and rent our kayaks to enjoy the nearby State Parks. 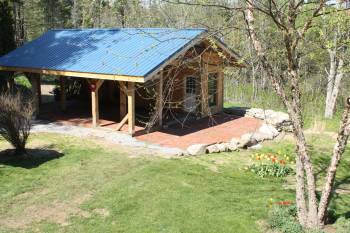 October State Forest and three pristine lakes are within two miles of Canterbury Farm. 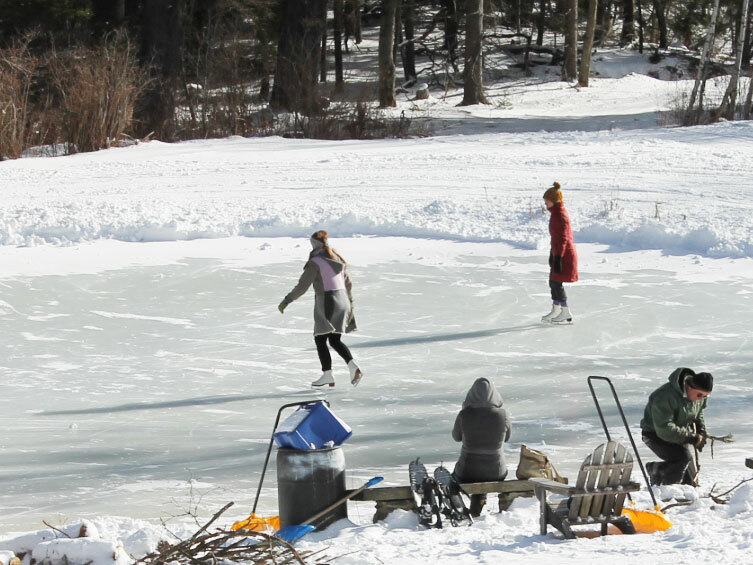 Members enjoy skiing, snowshoeing, ice-skating whenever facilities are open to the general public. No black-out dates! With a northern exposure at an elevation of 1700 feet, we have snow when the valley area doesn't. Check our ski conditions page for honest and daily updates. Our 22 kilometers of beginner, intermediate, and advanced trails are machine groomed every day. We use specific grooming equipment for every type of snow condition. Tracks are set for diagonal skiing and there are skating lanes on some trails. One trail is kept natural for that back woods experience. 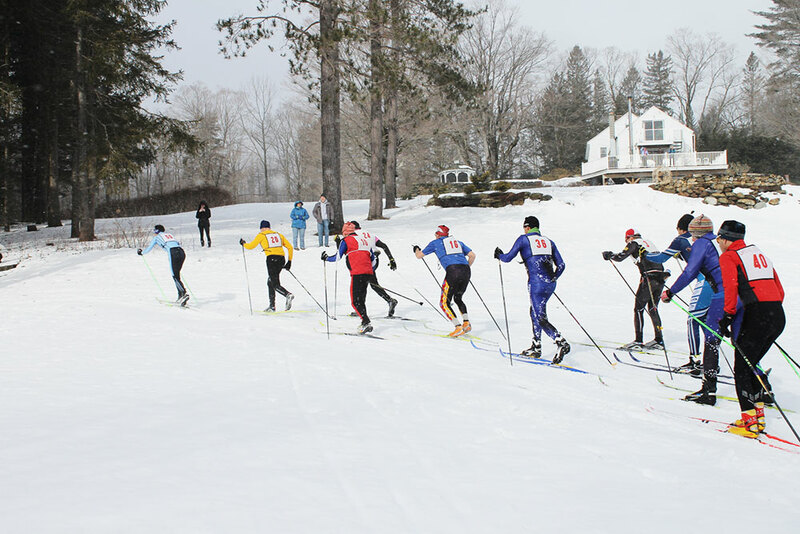 The snow shoe trails are packed and marked as they meander through the dense forest. At the summit of the hill you can see Mt. Greylock, the highest point in Massachusetts. Come into the ski shop where the ease of purchasing a ticket and renting equipment comes with a smile. Our staff is there to give you help and tips to make your experience great. 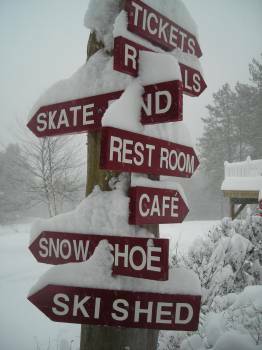 Our ski trails are groomed daily. Our ski team is out combing out, packing, and tracking those trails with numerous types of equipment. Dave is a landscaper in the summer so you can bet he is making those trails as beautiful as they can be. Our knowledgeable and caring professional staff will make your ski experience better because you learn the easy way by practicing technique before you try by trial and error. Lessons usually last about an hour. Please call to make a reservation. Looking down the bank of a babbling brook, crossing a beaver swamp, viewing Mt Greylock in the distance: these are just a few sights you will see as you shoe along our special snow shoe trails. Marked and packed for your pleasure. Tubbs quality for ease off and on. Poles are available as needed. Linda is a National champion figure skater. She is available for private or group basic skills lessons. Riedell rental skates with Thinsulate and soft tech lining. So comfortable, you will forget you have on skates. That is, except for the skinny blade on the bottom! We keep them sharp for your pleasure.